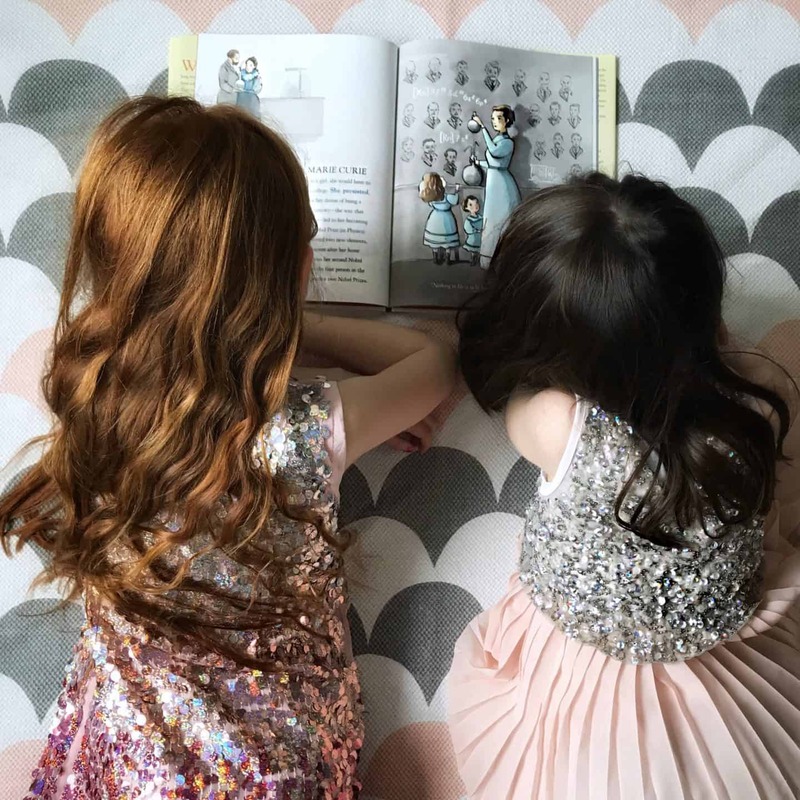 Being the mum to two girls, I am doing all I can to educate them about women’s rights. This includes the struggles they have had to get education, the vote and other liberties we take for granted. Of course there is still a loooooong way to go to get equality, but I think it’s important to let them know how lucky they are compared to girls in lots of other countries. I’ve been sent a copy of Chelsea Clinton’s new book She Persisted Around The World: 13 Women Who Changed History to review. I hoped it would open up some interesting conversations with Ava and Thea. 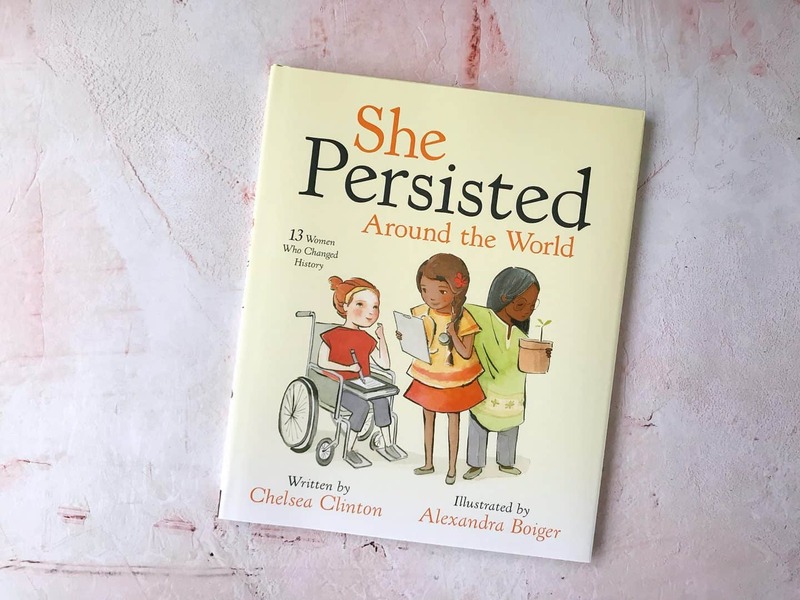 Written by Chelsea Clinton, and illustrated by Alexandra Boiger, She Persisted Around The World contains 13 one-page tales of real women who’ve used their voice and determination to change history. These incredible women have created change through science, arts, sports, education and activism. I have to confess that a lot of them were new to me. It’s a very positive book and one I’m encouraging my girls to read. 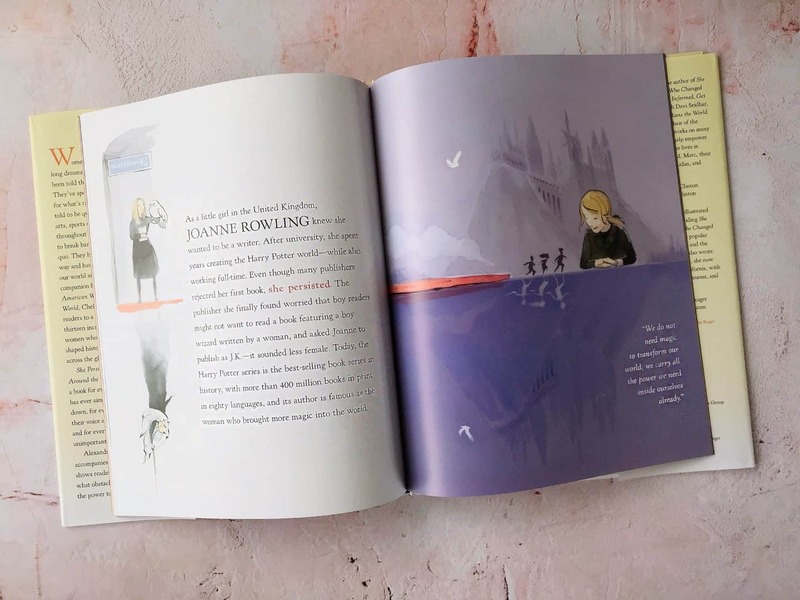 With child-friendly, eye-catching illustrations, both girls have enjoyed this book. Ava’s even been reading it to Thea. It’s a great book to pick up and dip in to, as each page is a whole tale. 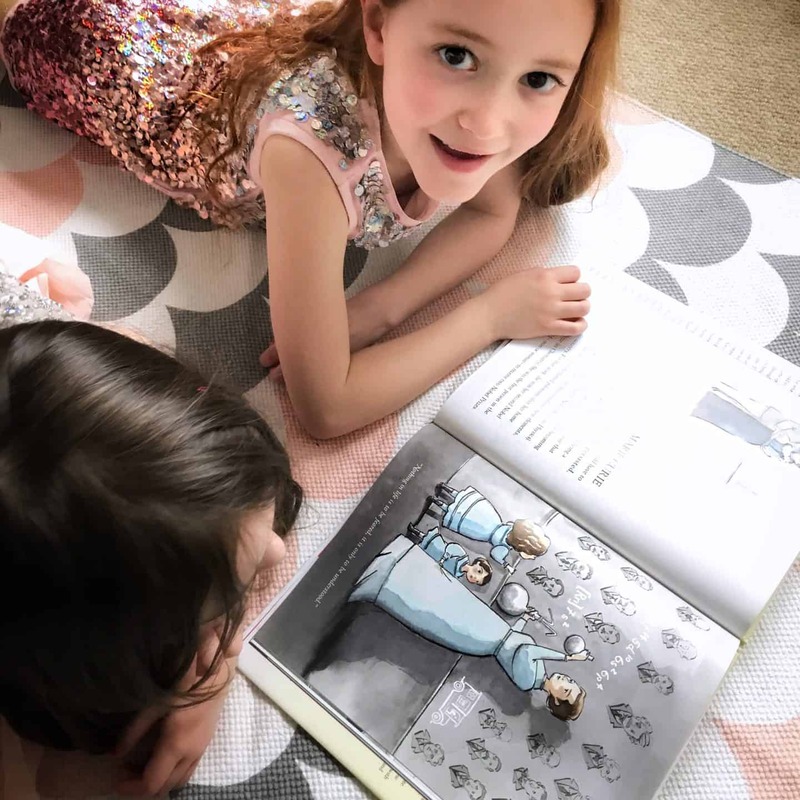 Ava and Thea especially enjoyed the pages about Marie Curie, JK Rowling and ballerina Yuan Yuan Tan. Because each story fits on to one page, it’s the perfect starting point for finding out more about these women. It’s enough to get the basics, which is perfect for five year old Thea. It also piques seven year old’s Ava’s interest in finding out more. 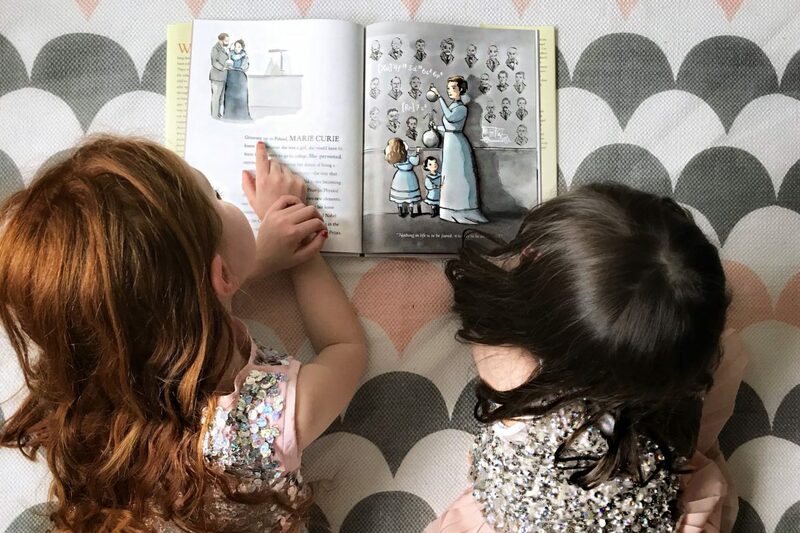 Each story has the words “She persisted” woven in to it. It’s a simple, yet effective device to tie the stories together, showing that each of these women had to work hard to make a change in the world. My favourite page is about Brazilian soccer player Sisleide “Sissi” Luma do Amor, who persisted in playing soccer, even though it was against the law for girls to play. Ava was once told that “football isn’t for girls” so this is perfect to remind her how wrong that is. 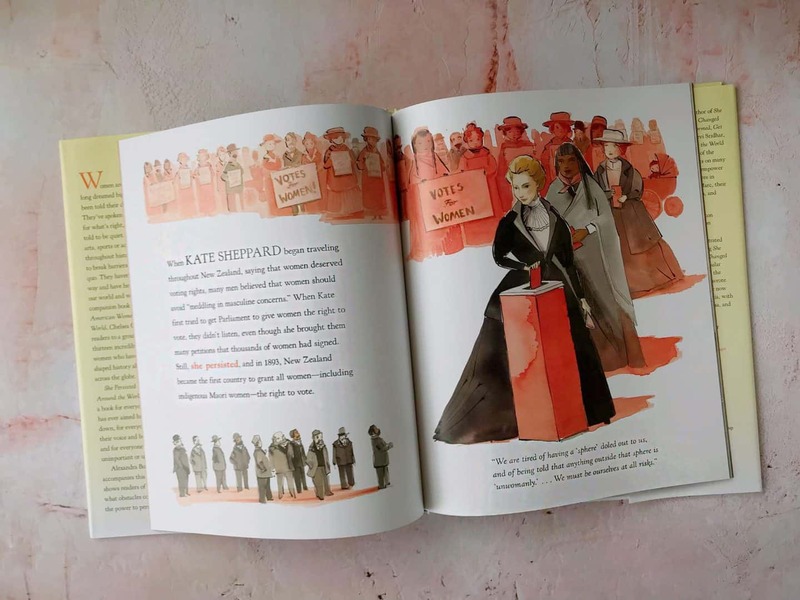 You can buy “She Persisted Around The World: 13 Women Who Changed History” from Amazon through my affiliate link for £12.99 for the hardback, and I think it would make a great gift for any child. 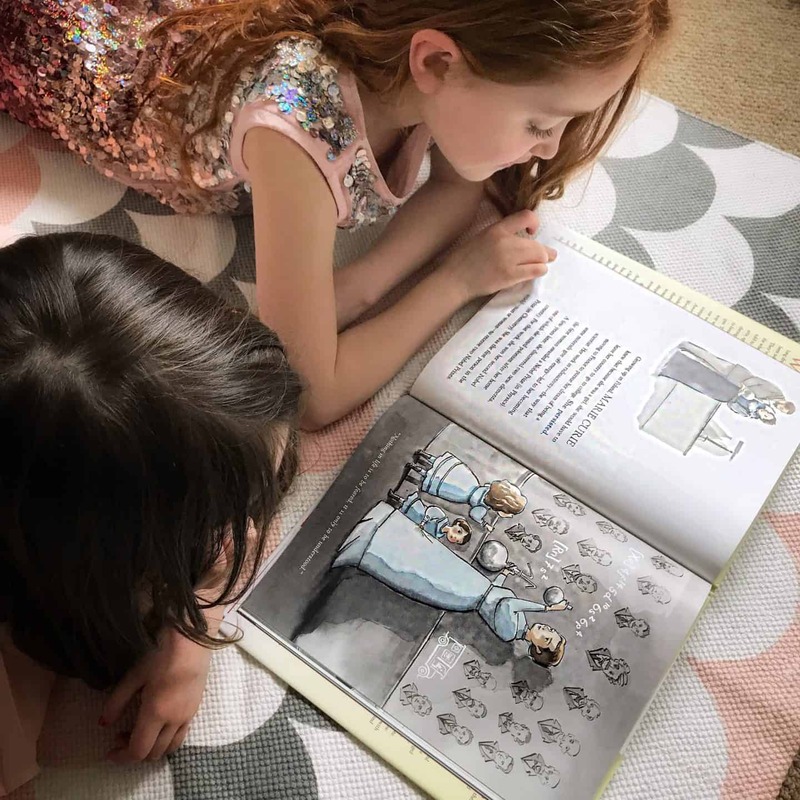 It’s the second book, after “She Persisted: 13 American Woman Who Changed The World” which I’d be interested in reading too, based on how much the girls like this book.